If you're reading this right now, chances are you overdid it last night. Here's what you should eat to feel better. Hit the office holiday party a little too hard? Feel like all the eggnog or coquito you drank last night is slugging through your veins? Hangovers are the price you pay for overdoing it, yet taking the day after off isn’t often company policy. Why do you feel so crappy? In short, the National Institute of Alcohol Abuse and Alcoholism says the very act of metabolizing booze releases toxins that damage your liver cells, mess with your pancreatic cells, throw your metabolism and hormones out of whack and decrease your immunity — and that’s just for starters. But there’s a glimmer of good news — what you choose to eat and drink with a hangover can help you recover. We asked nutrition experts Rachel Berman, RD, CDN and Amy Shapiro, MS, RD, CDN, founder and director of Real Nutrition, to share their hangover helper know-how in order to facilitate the fastest healing process possible. Berman says rehydration is the most important part of feeling better. “After a night of too much drinking, your body is very dehydrated,” she says, recommending you drink as much water as you can stand. “If you don't love the taste of water, add lemon, or try coconut water for a dose of electrolytes. And if you have nausea, try ginger candy or tea to calm your stomach,” she adds. Feeling like crap may leave you wanting to eat like crap — but try not to. “Most people think that they need to eat greasy food to absorb the alcohol but that isn’t true,” says Shapiro. “By then the alcohol has been digested and processed by your body so there is nothing to ‘absorb.’ What you are feeling are the effects of dehydration and low blood sugar. To bring your blood sugar back up to normal, you really just need to eat anything with some carbs, but balance it out with protein or healthy fats to prevent further blood sugar drops,” she says. When you’re hungover, the first meal of the day can be the most daunting. To calm the beast that is your stomach, Berman says your hangover diet should be simple. And whatever you do, skip the morning juice, which is probably way too acidic for you to handle first thing, anyway. Coffee, however, is a big fat yes. “Definitely have that cup of Joe (for the caffeine), so your headache doesn't get worse,” says Berman. 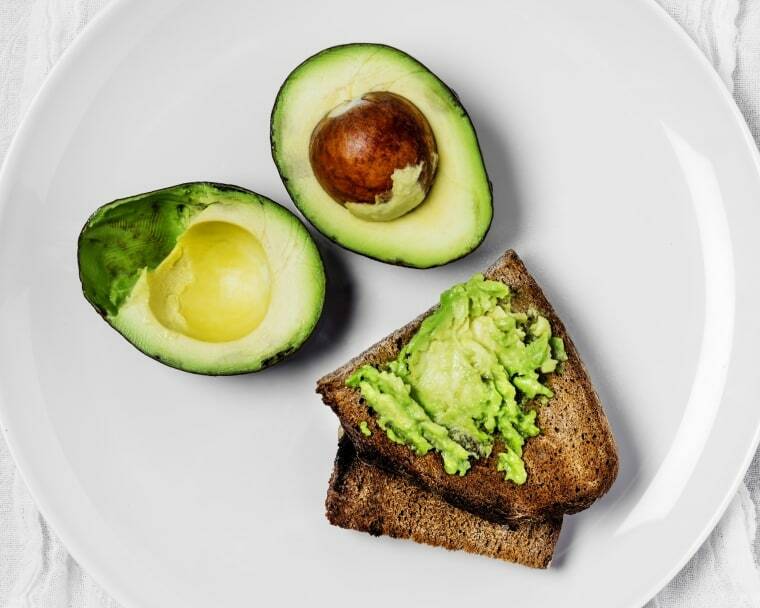 Instead of a greasy burger, opt for foods rich in complex carbs to fill you up, nutrients to nourish you, and electrolytes to rehydrate you, says Berman, who recommends whole wheat toast with peanut butter and a banana. If you must have that burger, take the top bun off, skip the cheese, and add lettuce, tomato and onion instead opting for a side salad instead of fries, says Shapiro. “The more veggies you eat the more hydrated you get and the more vitamins you intake,” she says. Hopefully by dinner time, you’ll start to feel like yourself again. But if your tummy is still a little tender, Berman says chicken noodle soup and half of a sandwich can be a hangover healing dream dinner. “The sodium in soup can help your body retain fluids, which is helpful for rehydrating,” she explains. If you’re up for a meal with some semblance of normalcy, Shapiro recommends roasted veggies or zoodles with salmon or shrimp, and a half-cup of whole grains or sweet potato. “Getting in more veggies and fiber will help to fill you up and prevent cravings,” she says. Now if we couldn't prevent those cravings for alcohol.